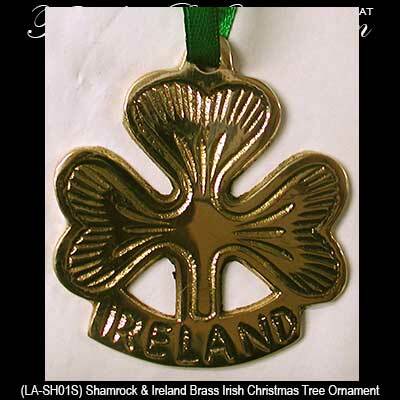 Shamrock and IRELAND Irish Christmas Tree Ornament Made of Solid Brass. Ready to Hang with the Included Green Ribbon. Gift Boxed.